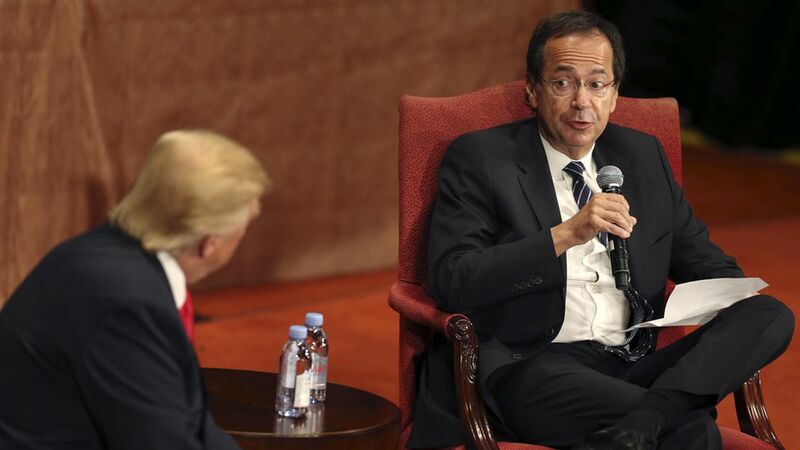 First look: John Paulson, a hedge-fund billionaire famous for his lucrative short of the U.S. subprime mortgage market ("The Greatest Trade Ever"), recently talked exclusively to me from New York as he promoted a blueprint published Thursday, providing a reform prescription for Fannie Mae and Freddie Mac. Paulson is a big investor in the two mortgage finance giants — also called government-sponsored enterprises, or GSEs. The paper, "Restoring Safety and Soundness to the GSEs," is available here. It was written by Moelis & Company, as financial adviser to some Fannie and Freddie stockholders, including Paulson & Co. and Blackstone GSO Capital Partners. Among the key elements: "Protects Taxpayers from Future Bailouts ... Promotes Home Ownership and Preserves the 30-Year Mortgage ... Repays the Government in Full ... Produces ... Profits for Taxpayers." Paulson, on the proposal: It "returns Fannie and Freddie to the private sector. ... [I]t's very important now for the government to exit its stake in Fannie and Freddie." Paulson, on his role: "We've been involved in almost every major financial restructuring in the U.S. ... [W]hat was important is that once the financial institution was stabilized, there was an opportunity for the government to exit and to [be replaced] by private capital." What critics say: The plan doesn't adequately grapple with a key issue in GSE reform: public risk but private gain. Backers responded that it "protects the taxpayer." Paulson, who supported President Trump's campaign: "[H]e's doing well on a path to achieve [pro-growth and pro-business] objectives. But, obviously, the political environment is, you know, very — let's call it 'emotional.'" His book recommendations: "Washington: A Life" and "Alexander Hamilton," both by Ron Chernow.